If you’re a dedicated fan of the Legend of Zelda series, chances are that you’ve heard of the legendary Zelda Timeline debate that has tortured inquiring minds for years. The debate comes from those who believe that the events of each individual game in the series are linked in some kind of sequential timeline. However, there has not been a concrete order established, as many aspects of each game conflict. The main cause for this conflict comes from the ending of Ocarina of Time. The traditional proposed timeline follows along a straight line until it splits at the ending of this game, at which point gamers dispute on whether or not you proceed as Link’s younger form, or his seven-year-older counterpart. From there, the games are divided between the adult and adult timelines. However, a potentially official timeline may have surfaced in the form of a new Zelda art book available in Japanese only for the time being. In it, translators have found a proposed timeline. The disclaimer here is that it may or not be official, as Nintendo has not officially confirmed or denied it. For the time being though, those who have followed the timeline debate have been studying it carefully. Unfortunately, it’s opening up just as many questions as its answering. Each proposed timeline begins in the same way. The story begins in the recently released Skyward Sword, followed by Minish Cap, Four Swords, and Ocarina of Time. The plot twist? This timeline presents not just two timelines, but three. As many have suspected, the split still occurs after the events of Ocarina of Time. However, the third proposed timeline caught many off-guard, stating a branch that implies that failed in his mission in Ocarina of Time. The other two branches are, as stated before, based on the adult and child timelines. 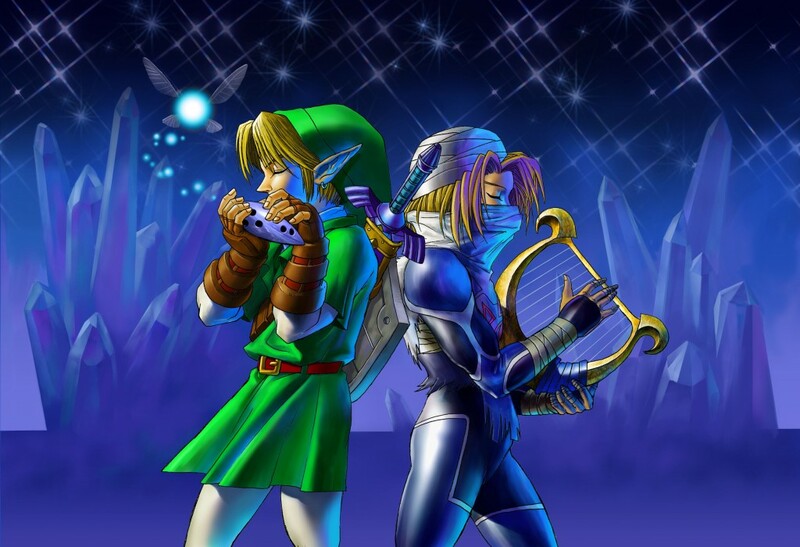 The timeline featuring Link’s failure progresses from Ocarina of Time is as follows: A Link to the Past, Oracle of Ages/Seasons, Link’s Awakening, The Legend of Zelda, The Legend of Zelda II. The child timeline is as follows: Majora’s Mask, Twilight Princess, Four Swords Adventures. The adult timeline is as follows: Wind Waker, Phantom Hourglass, Spirit Tracks. There are, of course, many questions that observers have asked. Some doubt the timeline of Link’s failure, some question the placement of the Four Swords games, while still others question the whole timeline theory as a whole. Regardless of the questions that many have, the clear conclusion to be drawn is that there does seem to be some sort of link between games (pun unintended). Until there is some sort of translation of the timeline or official word from Nintendo however, timeline conspiracy theorists will have to wait for an official answer to their pleas. For the time being, however, how do you feel about the timeline concept? Do you believe in such a theory, and if so, what are your thoughts on the unofficial official timeline? Leave your thoughts in the comments! Next Next post: The Top YouTube Videos of 2011!